Results from a clinical trial of 766 people with cancer show that a simple web-based system can provide major benefits to patients, including living longer. The tool is called Symptom Tracking and Reporting (STAR), and it allows patients to report their symptoms in real time and then triggers alerts to their health care team. Participants in this study had advanced genitourinary, gynecologic, breast, or lung cancers and were receiving outpatient chemotherapy, which means the treatment didn’t require a hospital stay. Patients were put into 2 groups, with 1 group reporting their symptoms using STAR and the other group discussing symptoms during visits with their oncologist, which is usual care. Patients in the usual care group were also encouraged to call the doctor’s office between visits if any symptoms caused concern. Each week, people in the STAR group used a 5-point scale to grade the 12 most common symptoms experienced during chemotherapy, including appetite loss, difficulty breathing, fatigue, hot flashes, nausea, and pain. Patients could report on their symptoms from their home or at the doctor’s office using a tablet computer or computer kiosk. Doctors received symptom reports during visits, and nurses received email alerts when a patient reported severe or worsening symptoms. All people in the STAR group were able to regularly report their symptoms, even if they had little internet experience. Nurses took immediate action in more than 3 out of every 4 alerts they received of severe or worsening symptoms. 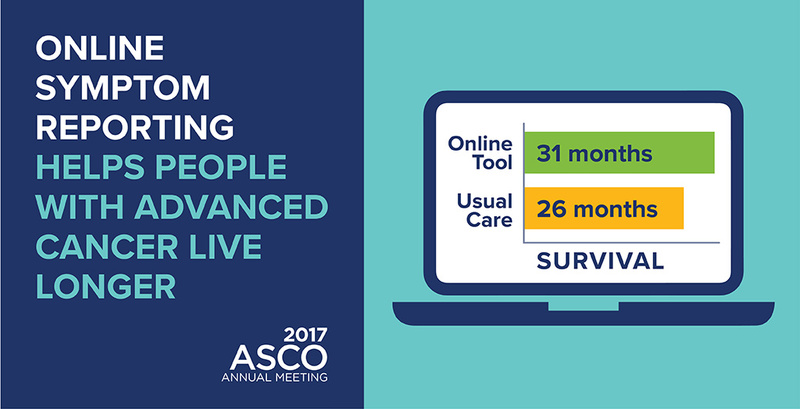 Patients who used the tool lived a median of 5 months longer (31.2 months) compared to those who received usual care (26 months). The median is the midpoint or middle. STAR was developed for research purposes and is not publicly available. This study was funded by the Conquer Cancer Foundation of the American Society of Clinical Oncology. A 2016 report from this same study showed that those who used this tool had a better quality of life and fewer visits to the emergency room and hospitalizations. They were also able to take chemotherapy longer than patients who received usual care. A larger clinical trial is now being done to confirm these results. What does this mean? 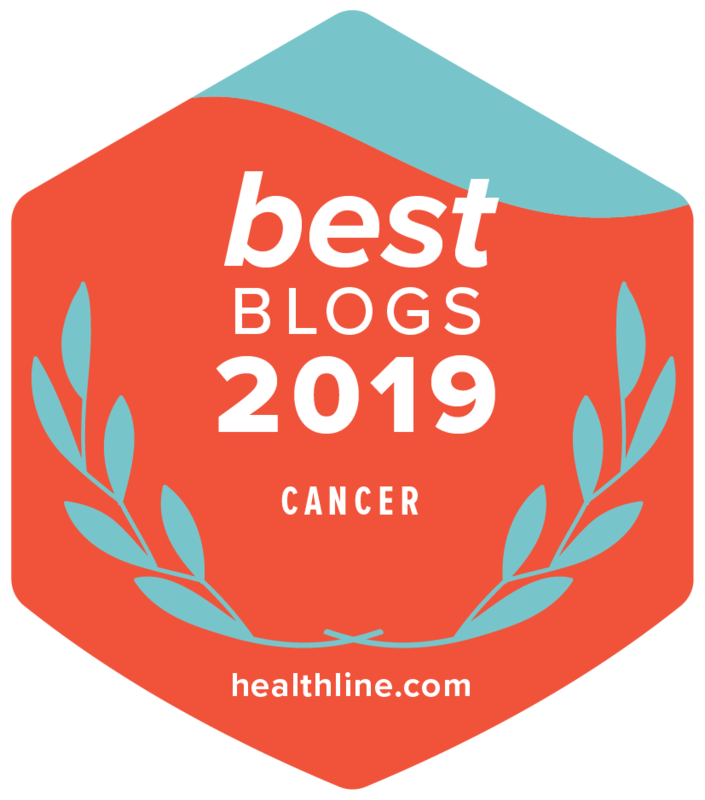 Online self-reporting tools such as STAR could provide a way for patients and their health care team to communicate more quickly about symptom management, which is an important part of overall cancer care. Research shows that this system’s benefits may include helping patients live longer. A large international study has found that some people with colon cancer may only need to have half of the 6-month standard course of chemotherapy after surgery. The study found that there was only a 1% overall difference between people who had a cancer recurrence after 6 months and 3 months of chemotherapy. A recurrence means the cancer returned after the initial treatment period. Chemotherapy lowers the chance of recurrence after colon cancer surgery, and this kind of treatment is called adjuvant chemotherapy. Since 2004, standard adjuvant chemotherapy has required 6 months of a combination of chemotherapies. There were 2 adjuvant chemotherapy combinations included in this analysis, called FOLFOX and CAPOX. This study included data from more than 12,800 patients with stage III colon cancer in 6 different phase III clinical trials in 12 countries. Participants’ health was tracked for a median time of 39 months after treatment. The median is the midpoint, so half were followed for less than 39 months and the other half were followed for more than 39 months. For all patients combined, the rate of disease-free survival at 3 years was very similar for both 3 months and 6 months of chemotherapy (74.6% vs. 75.5%). Disease-free survival is the amount of time after treatment during which no sign of cancer is found. For each chemotherapy combination, there were small differences in the 3-year disease-free survival rates for the 3-month and 6-month treatment periods. With the FOLFOX combination, the 3-month treatment was very close to the 6-month treatment at stopping recurrence (73.6% vs. 76.0%). If patients received CAPOX, the 3-month and 6-month treatments were nearly the same at stopping recurrence (75.9% vs. 74.8%). People with lower risk colon cancer had almost the same rates of recurrence if they took 3 or 6 months of chemotherapy (83.1% vs 83.3%, respectively). Lower risk colon cancer was defined as cancer that had spread to 1 to 3 lymph nodes and not completely through the bowel wall. The shorter course also resulted in fewer side effects. Both FOLFOX and CAPOX include oxaliplatin (Eloxatin). Oxaliplatin can cause nerve damage, which leads to permanent numbness, tingling, and pain. The longer someone receives oxaliplatin, the higher the risk of long-term nerve damage. Specifically, this study found that the shorter course of chemotherapy had substantially lower rates of severe nerve damage for both FOLFOX (15% vs. 45%) and CAPOX (17% vs. 48%). What does this mean? For some people after colon cancer surgery, a 3-month course of combination chemotherapy could reduce the risk of recurrence and the chances of long-term side effects. This approach may offer a better quality of life. Results from a phase III clinical trial show that a class of medications called PARP inhibitors may be effective at slowing the growth of metastatic breast cancer when there is a BRCA-related genetic mutation. This study compared standard chemotherapy to treatment with olaparib (Lynparza), which is a targeted therapy that inhibits poly ADP ribose polymerase (PARP). PARP inhibitors block DNA repair in cancer cells, making it difficult for them to replicate. The BRCA1 and BRCA2 genes are normally involved in DNA repair, and a hereditary change—called a mutation—in these genes interferes with this function. PARP inhibitors make it very difficult for cells that have a BRCA mutation to grow and divide, thus slowing the growth of the cancer. Olaparib is already approved by the U.S. Food and Drug Administration for use in women with BRCA-related ovarian cancer. This study enrolled 302 women with an inherited BRCA mutation and metastatic breast cancer that was either hormone receptor-positive or “triple negative.” Triple-negative breast cancer is estrogen receptor-negative, progesterone receptor-negative, and HER2-negative. Those tumor characteristics make it more difficult to treat effectively. Women with HER2-positive breast cancer were not included in this study because there are already effective targeted treatments. All patients in the study had received 1 or 2 rounds of chemotherapy, and women with hormone receptor-positive cancer also received hormonal therapy. Tumors shrank in about 60% of patients who received olaparib, compared with 29% of patients who received chemotherapy. After a median follow-up period around 14 months, patients who received olaparib had a 42% lower chance of the cancer growing than those who received chemotherapy. The median time to when the cancer began to grow again, called progression, was 7 months for olaparib and 4.2 months for chemotherapy. The median is the midpoint or middle. After a first progression, the researchers continued to monitor the patients’ health and the further growth of the cancer. The time to a second progression was also longer in people who received olaparib. The most common side effects for olaparib were nausea and vomiting, while the most common side effects in the chemotherapy group were low white blood cells, anemia, fatigue, and a rash on the hands and feet. Severe side effects were less common in those who took olaparib than in those who took chemotherapy (37% vs. 50%). What does this mean? Olaparib may deliver better results in treating BRCA-related breast cancer, while also causing fewer side effects for patients. Visit the Cancer.Net Blog every day for more reports from Chicago. You can also keep up with the news from the ASCO Annual Meeting by following Cancer.Net on Facebook and Twitter.